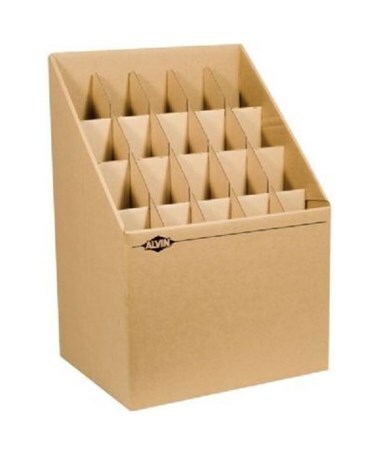 The Alvin Upright Fiberboard Roll File is a simple and convenient way of storing blueprints, maps, and other large format files that can be rolled. It measures 15 inches in width and is 12-inch deep. Its front is 11½-inch high while the back is 22 inches in height to provide additional stability. It features slotted hand-hole to accommodate any rolled document. It is available in 12-slot and 20-slot variations to suit different storage needs. 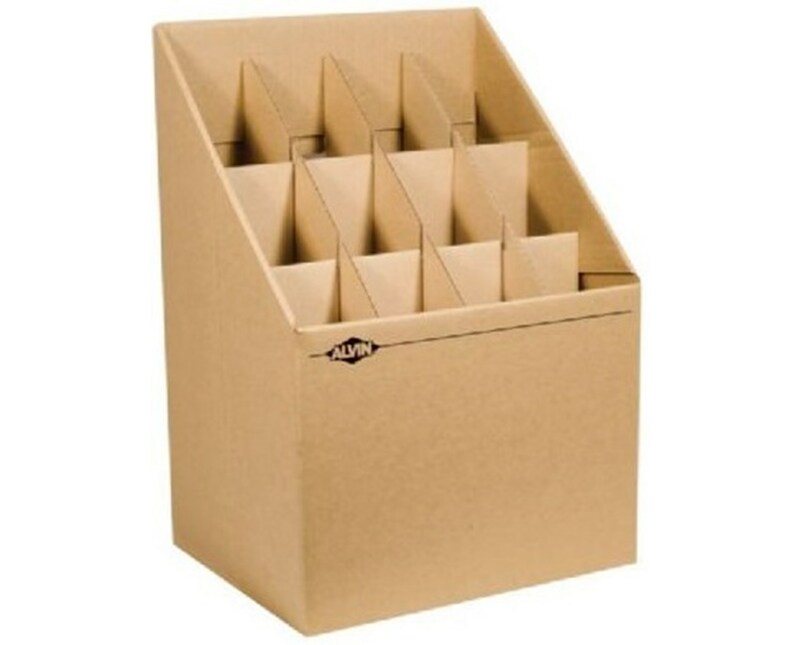 With its corrugated fiberboard construction, the Alvin Upright Fiberboard Roll File is durable and compact. It is foldable and can be set up with minimum effort. This is to allow easy transport and storage. This storage rack is shipped flat and weighs four pounds. 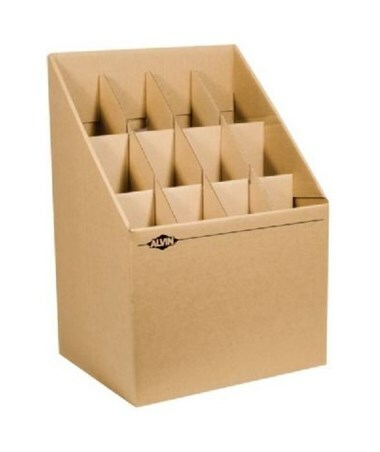 The Alvin Upright Fiberboard Roll File offers two capacity variations that suit your storage needs. Please select your preference from the drop-down menu above.